Use the PD2000 to Press Caps or Closures onto containers at high speeds. 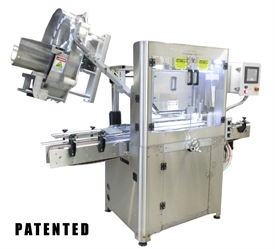 The Patented High Speed Sorter can supply up to 200 CPM, depending on closure. The Press Down System has been tested at speeds up to 120 CPM.